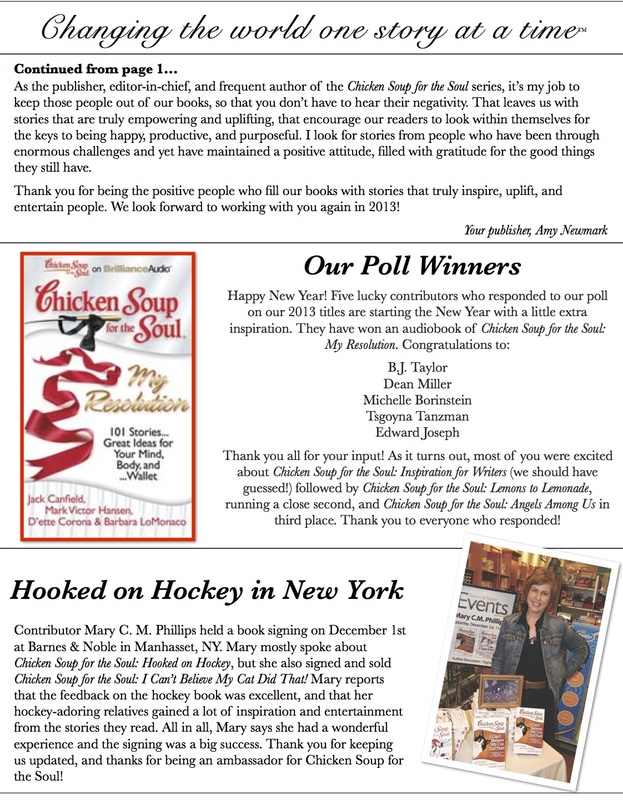 Happy to find that my December reading/book signing at Barnes and Noble for Hooked on Hockey and I Can’t Believe My Cat Did That is mentioned in the new Chicken Soup for the Soul newsletter. It was a fun day in a lovely store with friends (with a Starbucks only several steps away). Heaven.